Is Cabin 6 available this weekend? Hi Derrick, Cottage 6 is available the weekend of February 26th. 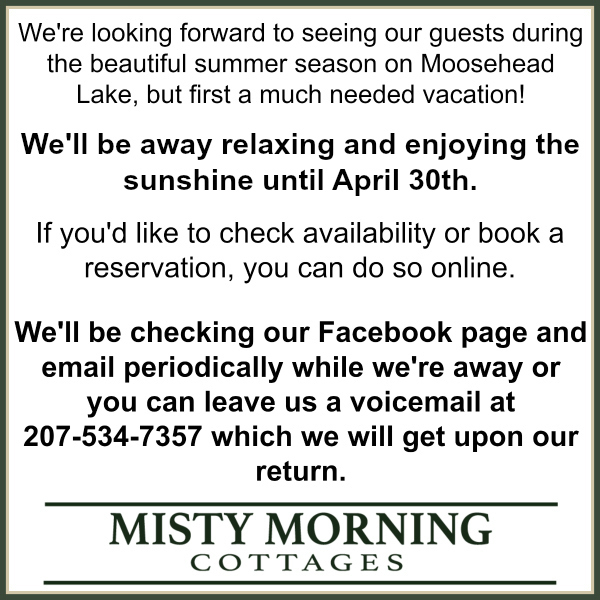 Please give us a call at 207-534-7357 if you’d like to book this cottage.